It’s worth the hold up. With all the excitement surrounding the fast-approaching due date of Meghan Markle and Prince Harry’s first child this April, we missed one very important detail: The couple did not move into their home last week as planned. So what’s the big hold up? Anyone who has ever been pushed to the limits by a home makeover will relate. We might not have a lot in common with the Duke and Duchess of Sussex (our friends are not the Clooneys, and we don’t drink tea with the Queen), but falling behind on renovation schedules happens to be right in our wheelhouse. 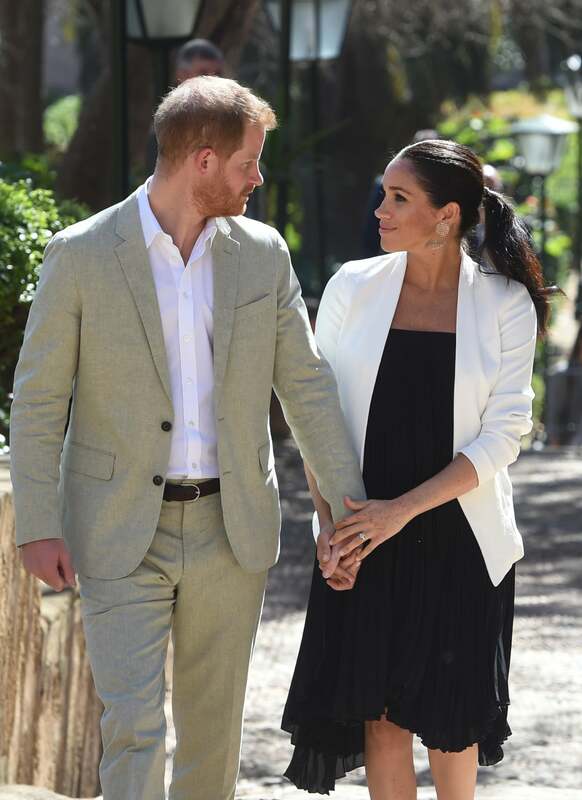 According to royal commentator and reporter for The Sun Emily Andrews, the pair had originally planned to move into their new residence, Frogmore Cottage, last week, but the move has since been delayed by at least three weeks. “The renovation work has been huge to turn this mini-mansion back into a family home, so it’s no real surprise that builders fell behind,” Andrews wrote on Twitter. Like anyone who has ever invested time, money, and energy into designing their forever home, Meghan and Harry want the details to be just right. Besides, delays are practically inevitable when renovating a home—even if you are working with a strict nine-month timeline. “Part of the reason for the delay is that Harry and Meghan kept changing their minds on design aspects, putting the builders back,” Andrews continues. Here’s a breakdown of the three big design decisions holding them back and why we think they’re worth the holdup. If we were to be so lucky to build a walk-in wardrobe from scratch, we’d relish the opportunity to divvy up our storage space to meet our seasonal needs. Assuming the duke and duchess are up on their closet organizational skills, we’re guessing their master ensuite will include ample drawer space for rainy-day gear, extendable garment rods for show-and-tell, and plenty of open hanging space for gala-approved ware. Design-wise, a pop of wallpaper can go a long way. Whether used as a makeshift library or to showcase a curated mix of decorative accessories, built-in shelves can make life at home feel, well, a lot homier. Considering this royal duo has spent the past number of months squeezing in a ton of travel (and will continue to do so in the future), they’ll need a proper place to display their latest treasures. Plus, you can never underestimate the power of a storage-friendly home with a little one running about. Apparently, the rumors that Markle makes a mean avocado toast is true. While we don’t know their exact kitchen renovation plans, we’re confident they’ll settle for nothing less than a space worthy of a celebrity chef—think copper cookware, statement lighting, and a central island with exposed shelving. Of course, we understand that design deadlines can get the best of anyone. We just hope that Baby Sussex’s eco-friendly nursery is finished in time.